Item # 159872 Stash Points: 8,995 (?) This is the number of points you get in The Zumiez Stash for purchasing this item. Stash points are redeemable for exclusive rewards only available to Zumiez Stash members. To redeem your points check out the rewards catalog on thestash.zumiez.com. 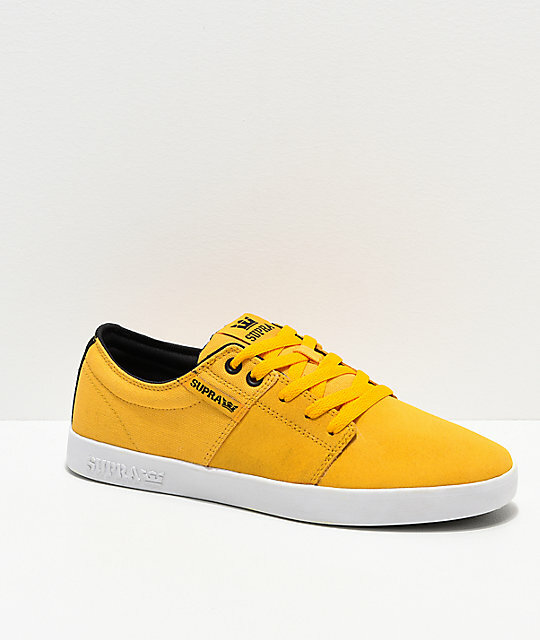 Purposely given a contemporary low-profile silhouette, the Supra Stacks II Vulc Skate Shoes are back in stock, dressed up in a new caution yellow, white and black colorway. The shoes' exterior is composed of durable suede and leather, while the interior is lined with breathable mesh, a classic shoe construction. 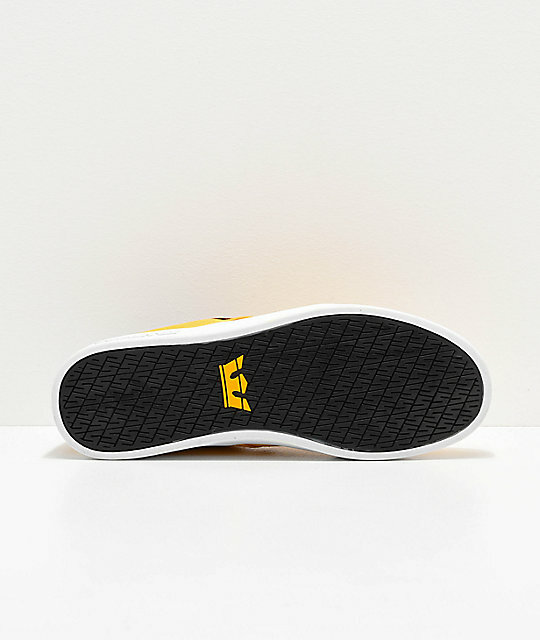 Equipped with a SupraFoam midsole, these sneakers provide vital impact support and cushioning, while a slightly higher rubber taping along the outsole provides added skate durability. Clean-cut and very simple in looks, the Stacks II makes for versatile footwear on and off the board. 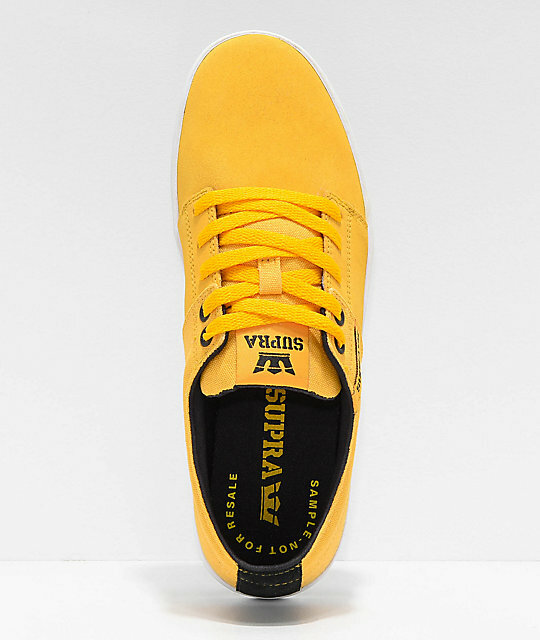 Stacks II Vulc Caution Yellow, White and Black Skate Shoes from Supra. 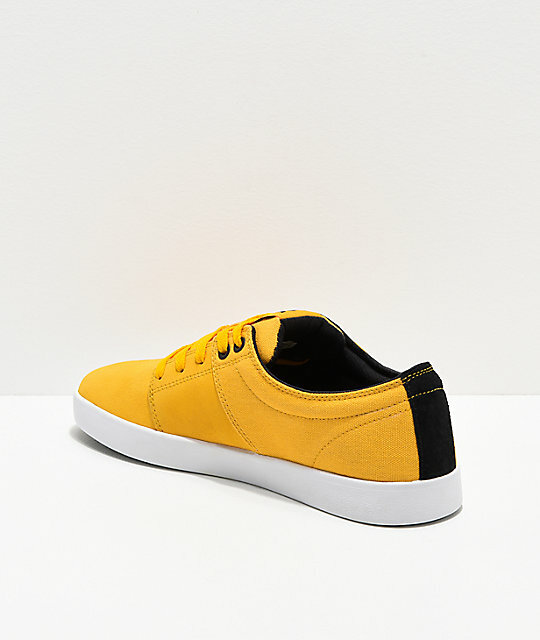 Suede upper with canvas panels upon the sidewalls/back of heel. Rubberized taping for added skate durability wrapped around top of outsole. SupraFoam midsole for impact support.